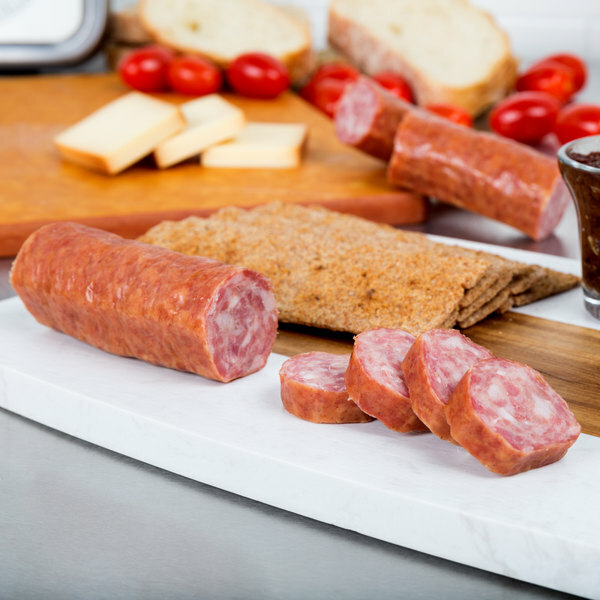 Crafted with lean meat and savory spices, in traditional polish fashion, this Groff's Meats smoked kielbasa rope makes an authentic addition to your everyday offering. 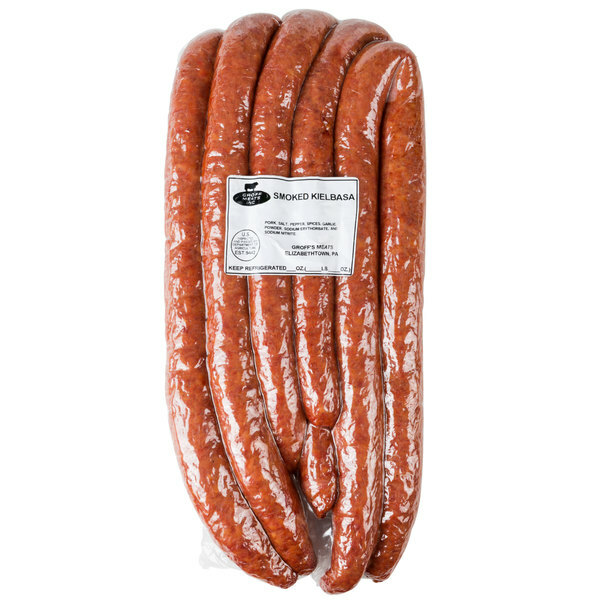 This kielbasa is made by stuffing quality, ground pork and spices into a rope casing. The rope is then smoked to perfection for added, tantalizing flavor that customers won't be able to resist. Cut it into bite-sized pieces and pair with aged or smoked cheeses. It's perfect for incorporating into your signature, savory stews and casseroles too! Often referred to as Polish sausage, kielbasa has become an increasingly popular menu offering since it is extremely versatile in use. It is fully cooked, so all you need to do is enjoy! The firm casing locks in the tender and juicy meat, guaranteeing a soft, crisp product. With this kielbasa, you'll be able to deliver the flavor your customers want, with the quality they deserve.